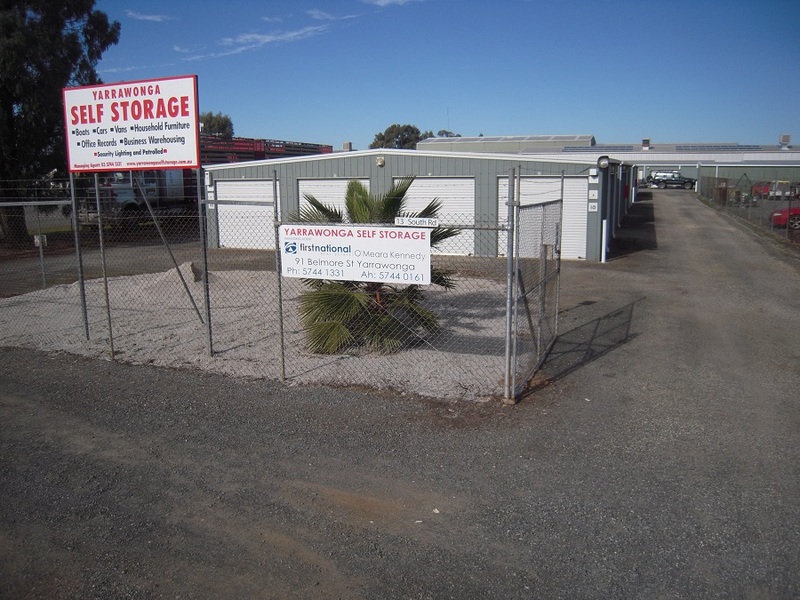 Yarrawonga Self Storage has been in operation since 1995. It is a family owned business that understands your storage needs. Conveniently located within the township of Yarrawonga, we offer a large selection of high quality, insulated, double locked units, suitable for storing household furniture, office records, boats, cars, caravans and store merchandise. With eighteen different sizes and configurations of lockup storage available, our facility in Yarrawonga offers a wide range of general storage solutions. Our floor space sizes range from 4.2 square metres to 36 square metres. Each unit has been designed to allow easy vehicle access, providing room to manoeuvre trailers and campervans, and articulated delivery vehicles for the collection and delivery of all items. When you store your furniture with us, you want to feel safe and secure. Our Yarrawonga facility is located within locked security fencing, with each unit having double lock roller doors. Yarrawonga Self Storage is managed by O’Meara Kennedy First National Real Estate, conveniently located at 91 Belmore Street Yarrawonga. The experienced staff are trained to assist you in choosing the right size of storage unit for your needs.